Nearly everyone has a Christmas tree, but how much do you really know about them? Where did the tradition come from? Who invented the Christmas tree? 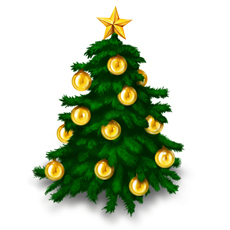 What were artificial Christmas trees first made with? Give our Christams tree quiz a try and find out!